I am a penny-pincher. A cheapskate. A tightwad. I’m stingy. Frugal. You get the drift. So now that you know my viewpoint, you can rest assured that when I discuss products, it will be with the pocketbook in mind. Please note that I do not receive any compensation — monetary or in-kind/product/demo — for these reviews. However, if you own or distribute any products, I’m willing to change that policy. ;) Also, if you have a product that you think I would like, I welcome your suggestion (preferably along with a free sample). Just kidding. Sorta. Overall Impression: One of the best purchases I made. There aren’t a ton of options for safety vests, and the price gap between competing products is fairly narrow (~$40). This vest is on the more expensive side of that spectrum, but it more than makes up for it with comfort. The alternative styles offered by Intec or Charles Owen feel more like the hot orange life/flotation vests you put on in boats – thick, hard. 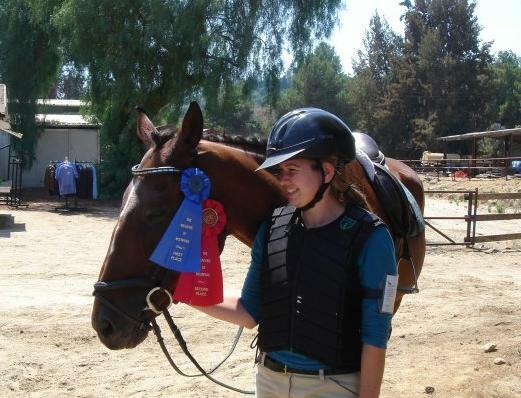 This Tipperary eventer vest contours to the body and has laces up both sides for adjustability. It doesn’t get in the way of your arms, whereas other vests have velcro, snaps, or extra padding in that area. I borrowed this model vest from my trainer for my first derby, and I decided to buy the exact same model once I realized I’d be sticking to the sport. As an aside: I love that eventing has mandated safety gear for riders – it is something that attracted me to the sport as an adult amateur. Overall Impression: It works – its the cheapest helmet that still meets safety standards. There are many brands and styles of helmets, and this one is widely available in tack stores as the economy model. Some stores carry cheaper ones – but watch out for those ones not being ASTM or SEI certified (American Society for Testing, and Safety Equipment Institute)! As far as helmets go, its not especially attractive; it is thick and round. The back of it looks like a bicycle helmet with the styrofoam. But it doesn’t need to look pretty – it needs to fit well and to protect your skull. As to the fit, this model has a great feature: the sizing dial. Rotate clockwise to tighten, counterclockwise to loosen, in small increments. Very handy for lending to a friend, or if you’re having a big hair day, or need to tuck your braid under your helmet, etc. In fact, I’ve decided that all future helmets I get must have the dial, because I’ve found that I need to adjust my size regularly to get a snug yet comfortable fit, especially at shows when I tuck my extremely thick hair under there. My friend has the pink colored helmet in this model and loves it. POST-EDIT COMMENTS: I’ve changed my mind on two points. (1) A helmet may need to look attractive. 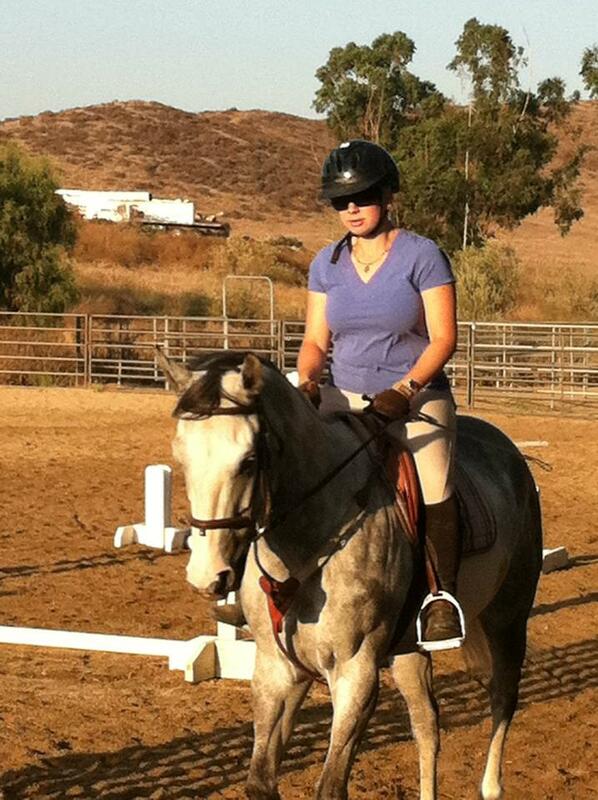 A friend’s dressage test had comments from a judge that her helmet looked unattractive and too big. Obviously that did not help her score. May not *technically* count against you, but turn-out does impact overall judge favorability. (2) I don’t need the turn dial. It’s nice, but I’d rather have a more snug (and therefore more attractive, theoretically) fit. Hair can just go below helmet it a bun or braid. Overall Impression: Everything I need at the right price, and looks better than the Troxel. I tried a non-dial helmet and had it professionally fitted, but it simply was not comfortable. I decided to go back to a dial helmet and was happy to see that this one is only a few dollars more than the Troxel helmet, and looks so much nicer! I’ve been riding in it for some months and it is quite comfortable. Overall Impression: It works. Do NOT use yourself as a lab rat to test this. My friend purchased this because she thought a neighbor horse was chewing her horse’s tail. I was very skeptical of the product: it looks like water and the active ingredient is rosemary. “You got ripped off – this is just rosemary and water. 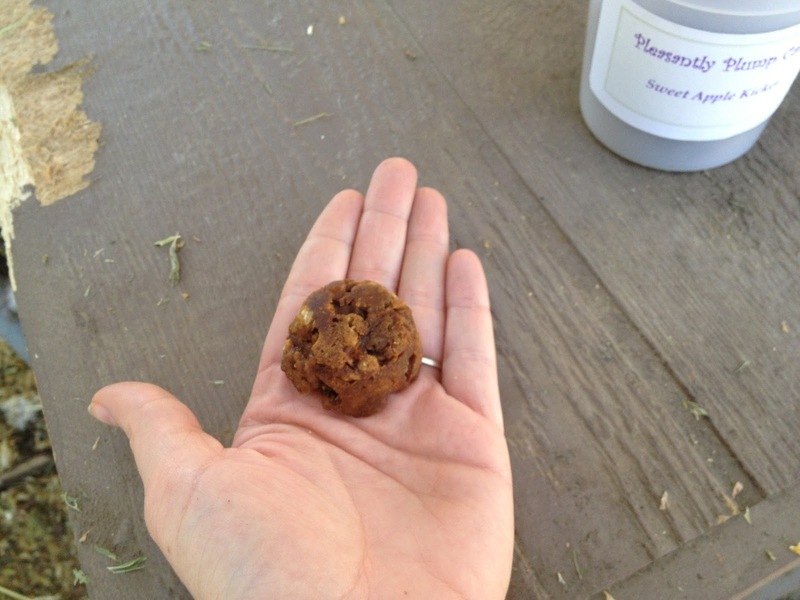 I cook with rosemary – this isn’t going to do anything.” Famous last words. I took a small taste and instantly was fighting the urge to vomit. For a full half-hour. It was horrible. As to its effectiveness as a chew deterrent for tails, walls, etc, unfortunately I cannot comment. I don’t know if it wears off quickly or if horses are as sensitive to it as I apparently am. However, if I ever have a problem with horse chewing, you can bet I’ll be buying this product first. And put gloves on my hands and a mask on my face. 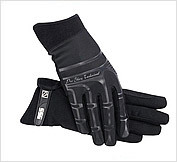 Overall Impression: Comfortable gloves – their stretchy-ness makes them durable. Slowly but surely I’ve been moving away from the el cheapo $6 gloves. I’m now up to these guys and let me tell you – so worth the extra money! They are super comfortable, don’t get wet AT ALL even on a hot day, and hold up very well to wear. I will buy these again in the future. Price I paid: Won a Facebook contest, so no charge. Overall Impression: Good cookie, but can’t attest to value until I know pricing. You can read my full review here but in short, its a chewy cookie with wholesome ingredients that can be halved easily without crumbling. I tried ’em myself and they’re pretty darn good. I'm jealous of your tack store.